By Brian Chilton| The Shroud of Turin is perhaps one of the most controversial artifacts of all-time. Either it is one of the most incredible, holy relics related to Jesus of Nazareth or it is one of the most ingenious hoaxes ever invented. 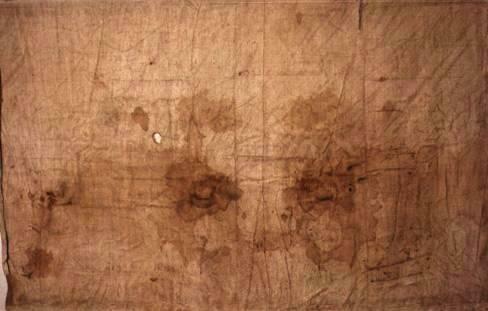 The Shroud of Turin is a 14’ 5” x 3’ 7” linen cloth that holds the image of a crucified man that matches the description of the manner in which Jesus of Nazareth was crucified. The front and the back of the crucified man is shown, the front on one end of the cloth and the back on the other end with the head meeting towards the middle. The hands of the man are crossed while the knees are slightly bent. Blood covers the Shroud especially at the nail marks on the hands and feet. Full length of the Shroud, positive image. The Shroud is quite controversial, especially since 1988. A team of researchers took three samples from the Shroud and dated them using radiocarbon at three independent laboratories. The test deemed that the Shroud dated to around 1260-1390 A.D. thus seemingly proving that the Shroud was a medieval hoax. Yet, the Shroud was not put to rest. Further tests seem to elevate the probability of the Shroud’s authenticity. As one investigates the Shroud, it must be understood that the resurrection of Jesus does not rest upon the Shroud’s authenticity. However, if the Shroud is authentic, it adds further weight to the Christian’s claim. 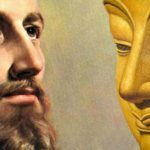 There is no way to conclusively prove or disprove the Shroud. Yet, data will lead one to accept or reject the Shroud’s authenticity. 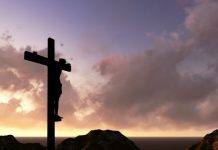 From my research, I have discovered 8 reasons why the Shroud is probably the authentic burial cloth of Jesus. Many researchers will dispute the claim, however, a growing consensus of researchers are accepting the notion that the 1988 carbon-dating test was flawed (Stephen Adams, Telegraph, 2009). A person can still see the marks on the Shroud where it was damaged. It is now widely accepted that the fibers tested in 1988 came from the nuns’ repair work. Recent studies confirmed that this was the case as dye was found on the fibers that were tested, indicating that the fibers did not originate with the original cloth (Adams, Telegraph, 2009). In 2013, a new set of tests were conducted on the Shroud that placed the cloth to the time ranging from 300 B.C. to 400 A.D., well within the time of Jesus of Nazareth (Stanglin, USA Today, 2013). Thus, the 1988 testing is no longer the knockout punch that it was once held to be. Blood on the Shroud. The blood is separate from the image on the Shroud. Skeptics have long thought that the image and blood on the Shroud were painted on the cloth. However, it has been confirmed that the blood and image have separate origins. When examining the cloth, researches have noted that the blood appeared before the image. The Turin Shroud researchers have adopted the slogan “blood first, then image” to describe the Shroud. The blood has been confirmed as authentic hemoglobin and identified as Type AB. As archeologist Ted Wright noted recently on The Bellator Christi Podcast, when researching the Shroud, we can rule out several things that the Shroud is not. One of those things that has been negated is the idea that the Shroud is a painting. The image on the Shroud is only a few fibers deep. Also, the image is a photographic negative and is three-dimensional. Whatever the image is, it certainly did not come from a painter’s brush. Gundelia tourneforii thorn from the Shroud. (c) Council for Study of the Shroud of Turin. Duke.edu. Pollen has been found throughout the Turin Shroud. Dr. Max Frei noticed that around the head and the abdomen, the imprints of flowers are visible although they are quite difficult to observe. “While there are images of hundreds of flowers on the Shroud, many are vague or incomplete. We feel we have identified, tentatively but with reasonable certainty, twenty-eight plants whose images are sufficiently clear and complete to make a good comparison with drawings in the botany literature. Of these twenty-eight plants, twenty-three are flowers, three are small bushes, and two are thorns. All twenty-eight grow in Israel. Twenty grow in Jerusalem itself, and the other eight grow potentially within the close vicinity of Jerusalem, either in the Judean Desert or in the Dead Sea area or in both. All twenty-eight would have been available in Jerusalem markets in a fresh state” (Whanger and Whanger, Duke.edu, 2015). These findings suggest that the Turin Shroud must have originated in, or at least have been in the vicinity of, Jerusalem. That the pollen dates to the first-century also provides an indication that the Shroud was first found in first-century Israel. Any examination of religious art depicting the crucifixion of Jesus shows the nail prints in the palms of the hand. However, the Turin Shroud shows the nail marks at the lower part of the hand into the wrist. 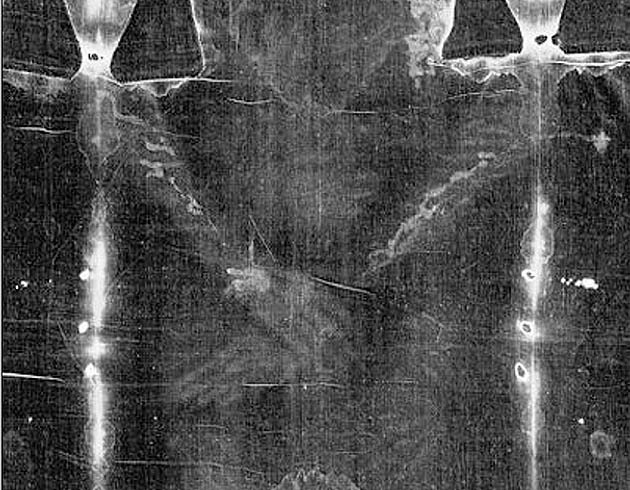 Experiments conducted on cadavers note that the Turin Shroud accurately depicts how crucifixions would have transpired. In addition, the whip markings on the man’s back match the ends of the flagrums used by the first-century Romans for scourgings. The Council for Study of the Turin Shroud also made another important evaluation of the Shroud. They noted that early depictions of Jesus match certain details of the facial image found on the Shroud. The Christ Pantocrator of St. Catharine’s Monastery at Sinai is one of the oldest Byzantine religious icons which dates to the 6th century (i.e., 500-599 A.D.). 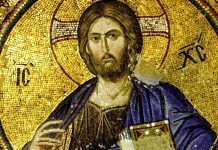 For more information on the Christ Pantocrator painting, see https://en.wikipedia.org/wiki/Christ_Pantocrator_(Sinai). 7. The identical position and type of blood on the face of the Shroud with that of the Sudarium of Oviedo. Another artifact of great interest is a cloth called the Sudarium of Oviedo. The Sudarium is a covering that is said to have been placed over the face of Jesus when he was lowered from the cross. 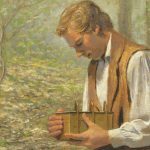 The cloth may have remained there for his burial. 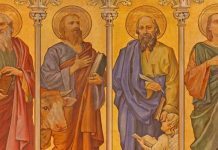 The Gospel of John notes the possibility of both cloths. 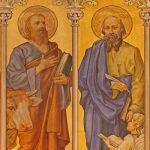 John notes that “The wrapping that had been on his head was not lying with the linen cloths but was folded up in a separate place by itself” (John 20:7). While the Sudarium does not contain a facial image, it does have a large amount of blood around the nose and forehead. The Sudarium is mentioned around 570 A.D. by one Antoninus of Piacenza. The blood markings on the Sudarium match the blood markings on the Shroud and also contain the same Type AB hemoglobin as found on the Turin Shroud. 8. The probability of high-powered ultraviolet radiation used to make the image on the Shroud. One of the more bizarre features of the Shroud is the X-ray that is found of the man’s teeth and fingers. Upon closer examination, one will notice squares around the mouth. These squares have been discovered to be an X- ray of the man’s teeth. The fingers appear elongated because a person is viewing the man’s phalanges. Nothing existed in medieval or ancient times that could produce such an X-ray as this. It has been theorized that when Jesus resurrected from the dead, a large burst of radiation emitted which would have created the image on the cloth. Studies have indicated that “the power of VUV radiations required to instantly color the surface of linen that corresponds to a human of average height, body surface area equal to = 2000 MW/cm2 17000 cm2 =34 thousand billion watts makes it impractical today to reproduce the entire Shroud image using a single laser excimer, since this power cannot be produced by any VUV light source built to date (the most powerful available on the marked come to several billion watts)” (uCatholic.com, 2016). 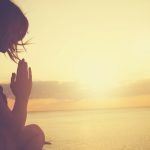 To make matters more interesting, the research team at the Church of the Holy Sepulchre noted that “measuring devices either malfunctioned or ceased to work at all…previously performed analyses with the instruments seemed to have been distorted by an electromagnetic disturbance” (uCatholic.com, 2016). 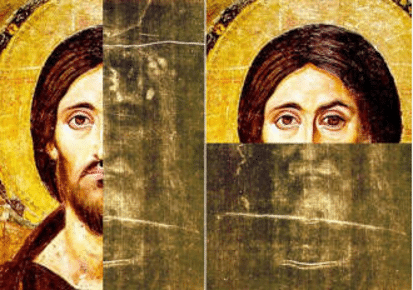 This does not prove that the Shroud originated at the Church of the Holy Sepulchre and it does not prove that high-powered radiation created the image on the Shroud, but the connection of the two is quite compelling. 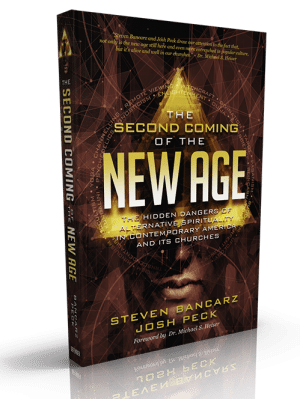 As archaeologist and Christian apologist, Ted Wright, once said, “we can’t be completely dogmatic about the Shroud of Turin. But there is certainly a high degree of probability that it is genuine.” I think Wright is correct. It must be said that the Christian does not need the Shroud of Turin to provide evidence for the resurrection of Jesus. A compelling case for the resurrection of Jesus of Nazareth can be made without the Shroud. However, if the Shroud of Turin is authentic, then the believer can catch a glimpse of the Galilean who brought about salvation to the world. If not, the Christian has nothing to lose. It is truly a win-win situation. 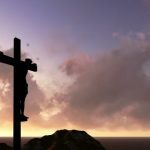 The documentary evidence from both Christian and non-Christian sources alone are enough to verify the reliability of the crucifixion and resurrection account. 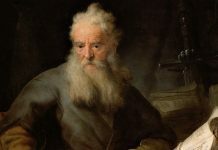 But, it would not be surprising if the same Jesus who appeared to skeptical Thomas is the same Jesus who left a relic that would demonstrate to billions and billions more that he had indeed risen. 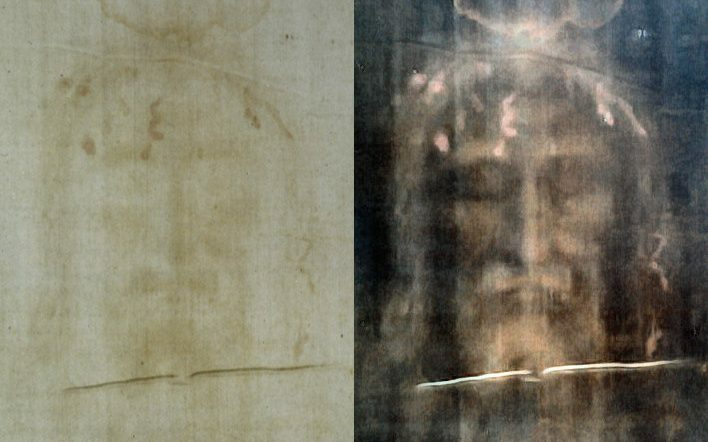 Can we ever be certain that the Turin Shroud holds the image of Jesus of Nazareth? Probably not. However, the evidence seems highly probable that the Turin Shroud is genuinely the cloth that covered Jesus of Nazareth before his amazing resurrection from the dead. If so, the image of Jesus could have been left behind, but the real Jesus is no longer there. He is alive! Jesus is now at the “right hand of God and intercedes for us” (Romans 8:34). Whangler, Alan, and Mary Whanger. “Council for Study of the Turin Shroud.” Duke.edu (2015). Retrieved April 17, 2017. http://people.duke.edu/~adw2/shroud/flowers-and-pollens.html. Stanglin, Doug. “New Test Dates Shroud of Turin to Era of Christ.” USA Today (March 30, 2013). Retrieved April 17, 2017. https://www.usatoday.com/story/news/world/2013/03/30/shroud-turin-display/2038295/. 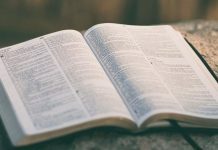 Unless otherwise noted, all quoted Scripture comes from the Christian Standard Bible. Nashville: Holman, 2017.